"Style is the best way to say who you are, without having to speak." I'm so glad finally I have received my package from Persunmall! Yes, the package is a boyfriend blazer. I have no regret that I ordered it. The blazer gives a fabulous and ultra feminine touch to the overall outfit. 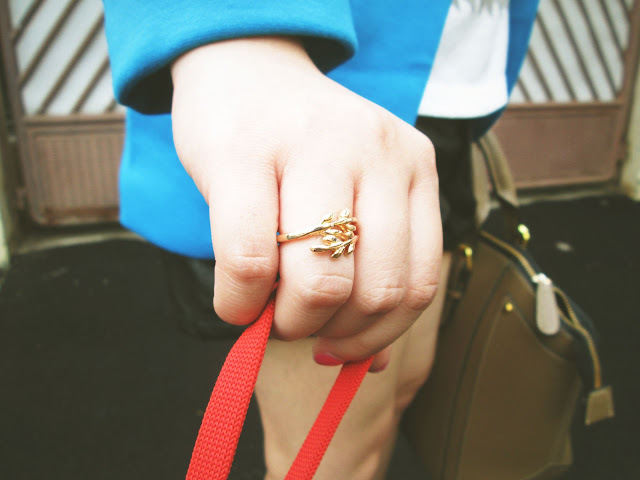 Besides, it's so comfortable and easy to mix and match with other stuffs on my closet. And they also send me a ring, which is very simple yet beautiful. I love it! 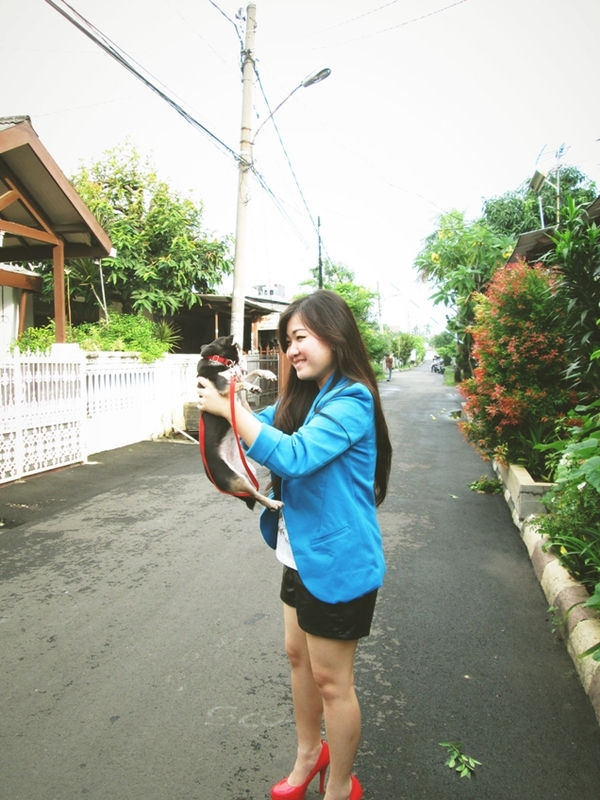 Go check out www.persunmall.com to get the same boyfriend blazer as mine. It's available in many colours! Wonderful blazer! You look chic and stylish! Nice snaps, well done! 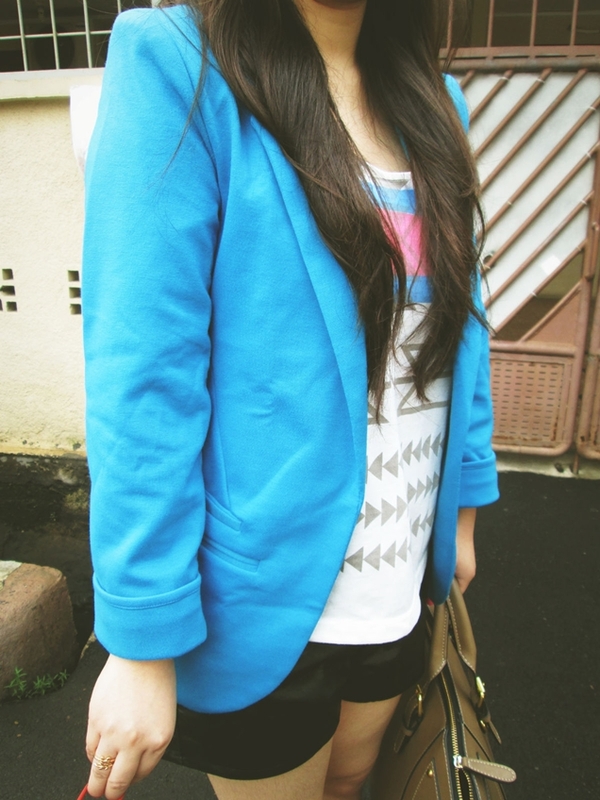 Love the vibrant color of your blazer. Such a classic piece to own, but the color keeps it young and fun! Btw, such a cute dog! Hi Livia!! We are a spanish couple that love travelling and photography. That is why we decide to create a project in which show our two hobbies. What a great lookbook you have here! I especially like the ideas you included. You really do show the beauty of fashion. thank you for your visi on my blog!!! Let following each other:) i'm now following you! 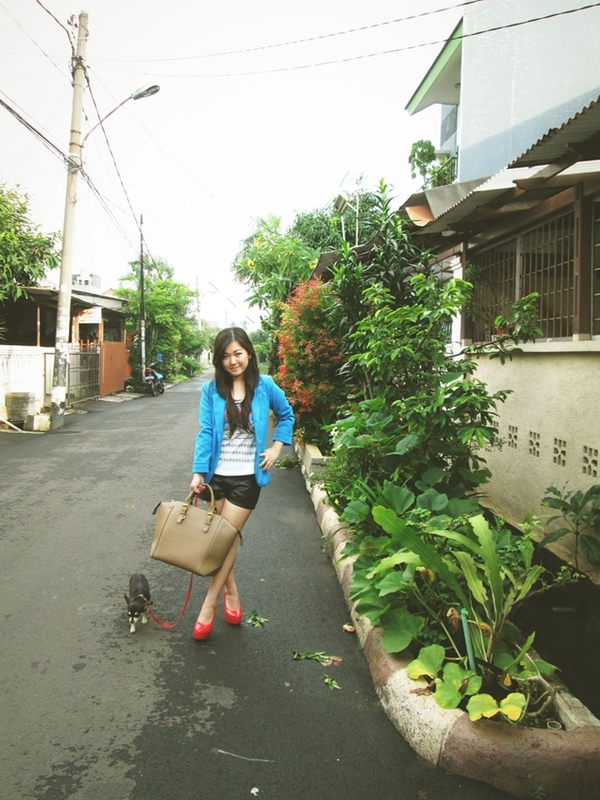 love the electric blue of your blazer and your dog is so cute!! Love how you incorporate the quotes in to your posts :) Looking beautiful in brights! Follow you<3 Hope you follow me back! thanks for stopping by my blog! I love your outfits, those pumps are amazing! I usually just stick to flats during the day time.